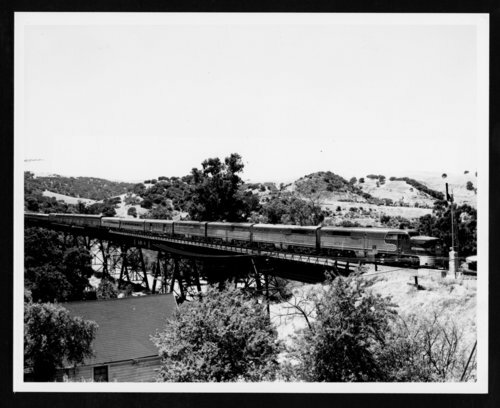 This is a photograph of the Atchison, Topeka & Santa Fe Railway's San Francisco Chief crossing the Muir trestle near Glen Frazier, California. The engine is pulling hi-level chair cars and full length dome cars. Also visible in the photograph is a semaphore along the tracks.